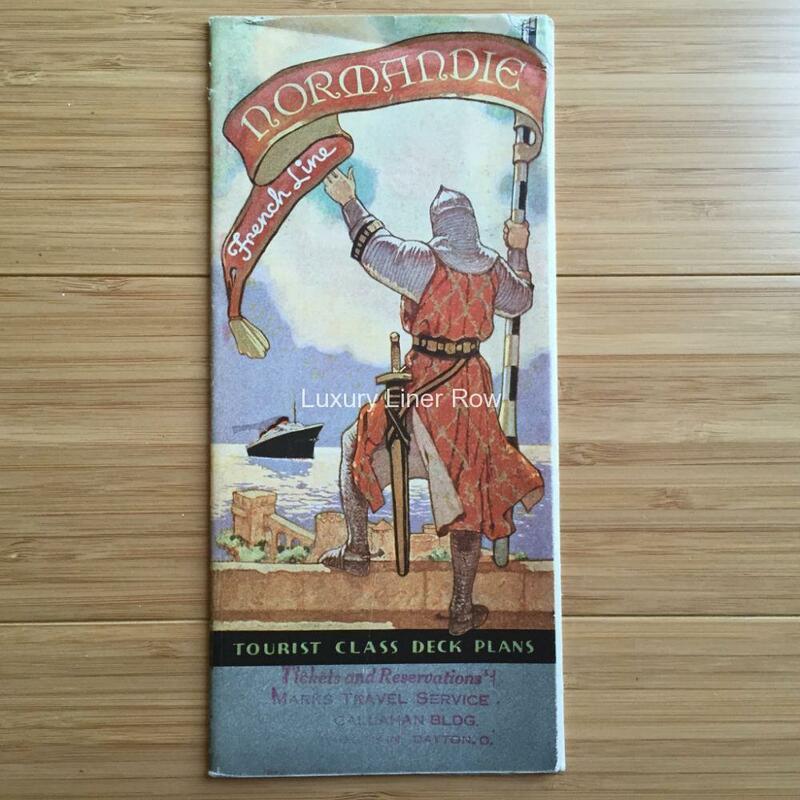 When it comes to deck plans, there are two Holy Grails — Titanic and a Normandie Iso. 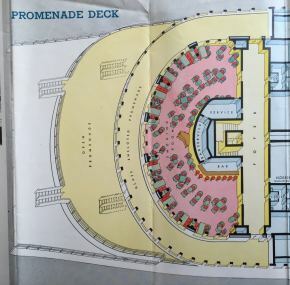 It’s easy to see from these ISO plans why the layout of Normandie’s public rooms was considered so revolutionary. 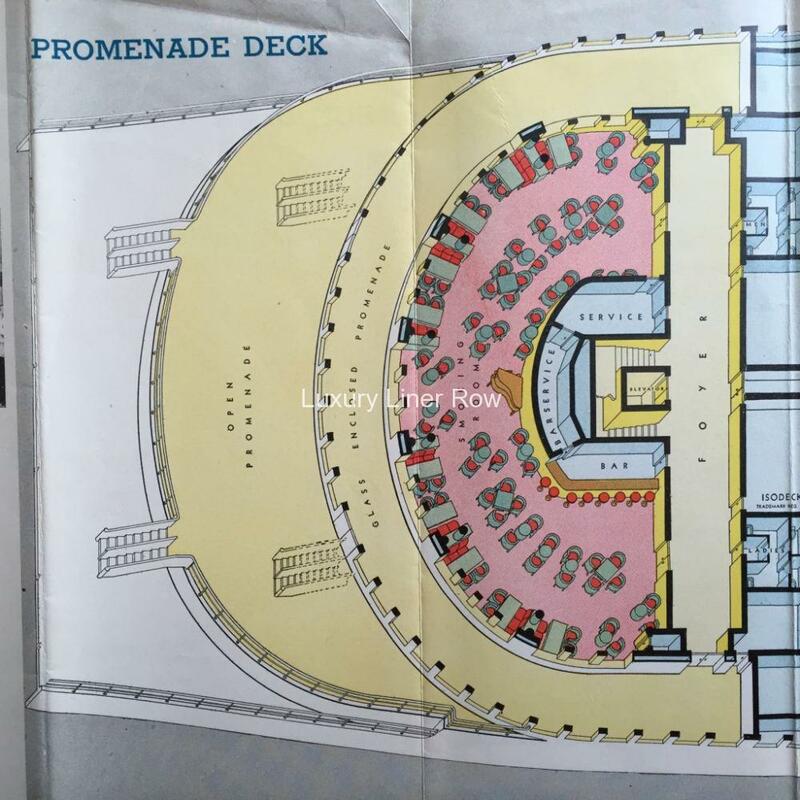 With five images, the plan is dated January, 1937; so, of course, the new lounge is shown. 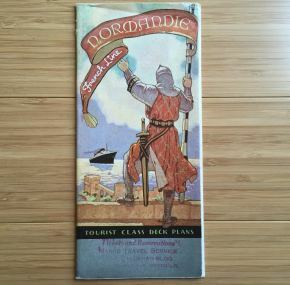 Measures about 44″ x 8″. It is huge! In excellent condition. There’s not much more that needs to be said. Everyone knows how great these plans are. If you don’t have one, grab it while you can!